For celebrities, looking fabulous at every photo op is an absolute must, making good skin care a necessity when they're off the set or out of the studio. Top celebrities like Meryl Streep, Oprah Winfrey and Madonna can choose any salon or spa in the world to help them maintain the youthfulness of their skin, but for these women, there's only one place to go for a pampering experience that truly improves the health of the skin--Tracie Martyn Salon in New York City. Now, you can discover for yourself why Tracie's luxury spa is a leading choice among Hollywood's biggest beauties with her at-home skin care collection. The Tracie Martyn skin care collection contains formulas developed by Tracie and Marius Morariu, a scientist and nutritionist. The products use eco-friendly, natural ingredients to address common skin care concerns and leave the skin looking younger, more radiant and above all, healthier. Each of the formulas in the collection allows you to indulge your senses and pamper your complexion for a truly luxurious at-home spa ritual. Discover the Tracie Martyn collection today! You might not enjoy the luxury of a celebrity facialist like your favorite stars, but that doesn't mean you can't enjoy the benefits of highly effective products for your complexion. With more than three decades in the fashion industry as a makeup artist, Tracie Martyn welcomes her high-powered clients to her New York salon. Now, you can enjoy this salon-like experience at home, along with the benefits of Tracie Martyn products, by choosing your favorite items from SkinStore. When aging concerns arise, you want to address them before your once youthful look dissipates. While you can't stop aging, you can minimize the impact it has on your skin when you choose the right products. 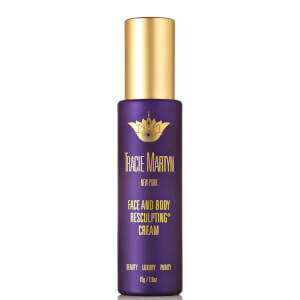 The Tracie Martyn brand offers several products that can help address common aging concerns, such as excessively dry, thinning, and sagging skin. You can find these products in a number of styles, allowing you to choose one that suits your preferences. For example, you might opt for a cleanser that does more than just eliminate makeup and impurities. This anti-aging-infused cleanser can also exfoliate and resurface your complexion without stripping it of important moisture. 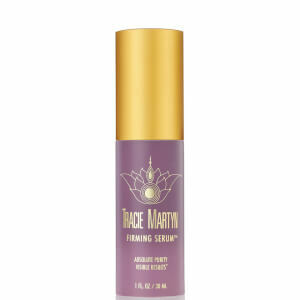 When you notice that your once-taut skin is thinning and sagging, you might search for a Tracie Martyn serum that can revitalize your look, evening tone, firming sagging skin, and even reducing the appearance of fine lines and wrinkles. Aging concerns vary from one individual to the next. Tracie Martyn products address a wide variety of concerns, helping everyone discover a complexion that is naturally more beautiful. If you want the best care for your skin, you need to be willing to try new formulas, especially ones that offer revolutionary treatments and techniques. 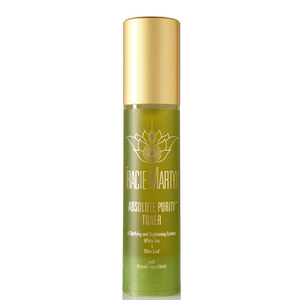 Each of the available Tracie Martyn Products has been designed to deliver anti-aging ingredients in an effort to recreate the supple nature of younger skin. Utilizing natural ingredients, the full line of Tracie Martyn Products is able to avoid the harshness of unnecessary chemicals, preservatives, dyes, and fragrances whenever possible. A long line of well known celebrities have used these formulas, offering credence to their claims of high performance and great results. If you want to enhance the current level of vitality and beauty held by your skin, consider incorporating the full line of Tracie Martyn Products into your daily routine and rejuvenate your skin's appearance. Please take the time to browse through our current selection for a look at what we have to offer you today. Do you love your skin? Well, if you do, indulge in one or more of the existing Tracie Martyn Products and treat yourself to a skinsational experience. What if you could brighten your skin, reduce the appearance of wrinkles, gently exfoliate your skin, and prevent acne breakouts with a single beauty formula? 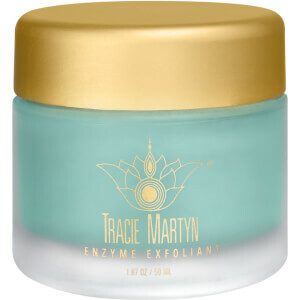 Well, you can if you decide to incorporate the skin-friendly formula of Tracie Martyn Enzyme Exfoliant into your beauty care regimen. In addition to the above, this gentle solution reduces redness, oxygenates your skin, stimulates cell growth, and nourishes your skin back to vibrant beauty. Gently exfoliate and cleanse away skin impurities and toxins with the mild resurfacing formula of Tracie Martyn Amla Purifying Cleanser. Containing natural botanicals, potent antioxidants, and resurfacing enzymes, this concentrated cleansing solution purifies your skin, restoring its dermal vitality and beautiful appearance. Your skin is left feeling fresher and cleaner, especially since this clarifying formula does not contain harsh chemicals, artificial dyes, sulfates, or synthetic fragrances. Infused with natural aromas, this non-irritating cleansing product offers a refreshing therapeutic experience. Enhance the contours of your face with renewed resiliency and firmness as you indulge in the rejuvenating formula of Tracie Martyn Firming Serum. Filled with natural botanicals, potent antioxidants, essential vitamins, and exceptional growth factors, this restorative solution stimulates cell growth, readily renewing the youthful appearance of your skin. It counteracts the thinning of your skin and minimizes the appearance of creases and fine lines, while replenishing your skin's levels of hydration. As it calms and soothes redness and irritation away, it brightens skin and promotes your dermal vitality.